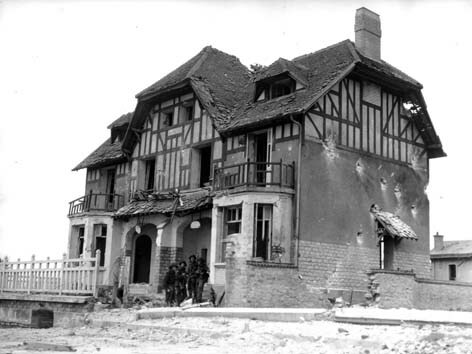 The Canadians, come in large numbers (14,000), were mainly affected there and were supported by 9,000 British in their undertakings : link up with the British landed on the two neighbouring beaches (Sword and Gold) and capture the Carpiquet airfield, an eminently strategic ground installation, located to the west of Caen. As the preliminary air bombardments were revealed of very little efficiency, these last mowed down hundreds of soldiers. Although Juno was the bloodiest beach of the anglo-canadian sector, it constituted the strongest beachhead of all the beaches together, by the evening of June 6th .